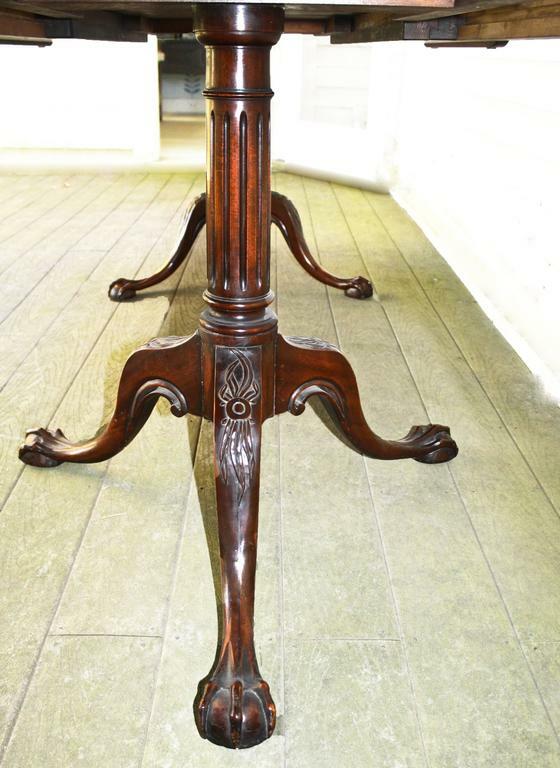 Late 19th century bench-made Chippendale Revival Cuban mahogany double pedestal dining table. 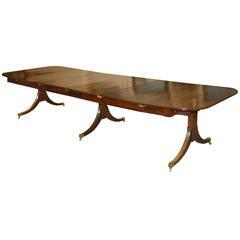 With the single 24" grain matched leaf it opens to eight feet in length, comfortably seating eight. Without its leaf, it accommodates six. 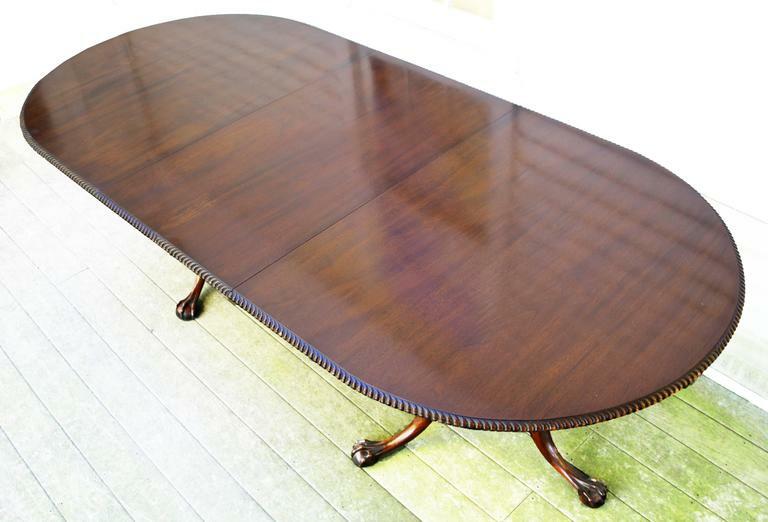 Handsomely grained table top with a fine gadroon-carved edge. 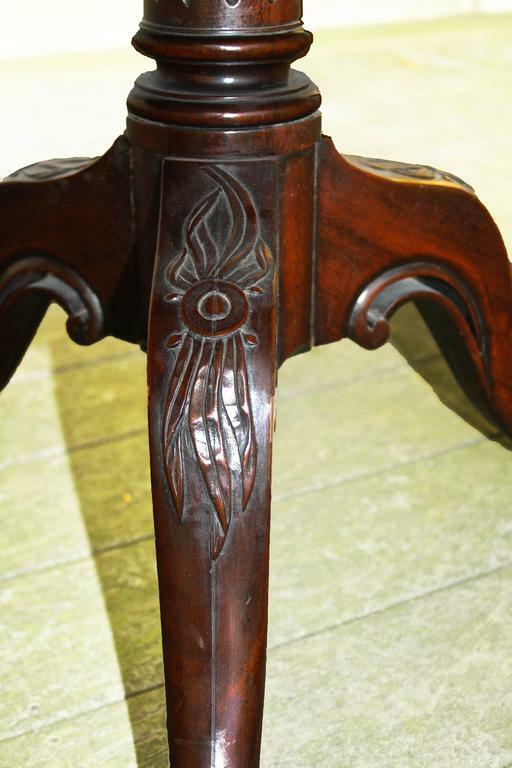 As shown in Images 7 through 9: the pedestals are fluted and ringed, with remarkably detailed tripod knees, underside returns, and finely carved ball and claw feet. 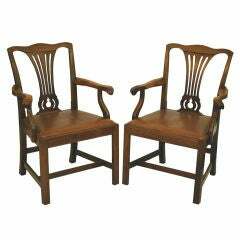 Ex: A Swarthmore, Pennsylvania family collection since first made in the 1890s. 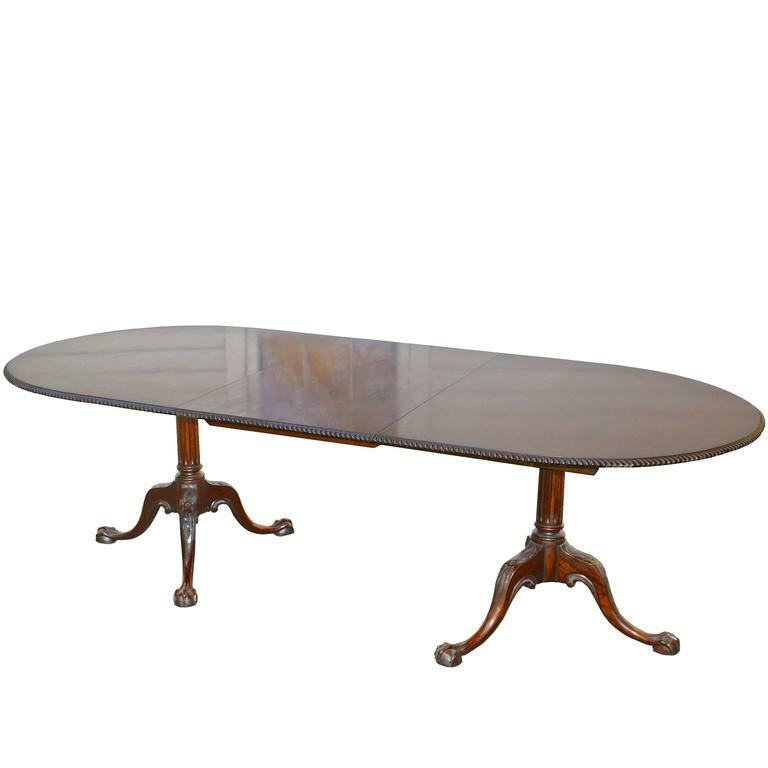 Fine antique estate condition, recently polished. 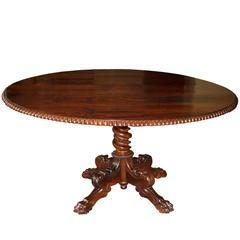 Attributed to Maintland-Smith Mid-Century Modern tessellated stone round dining table base pedestal.